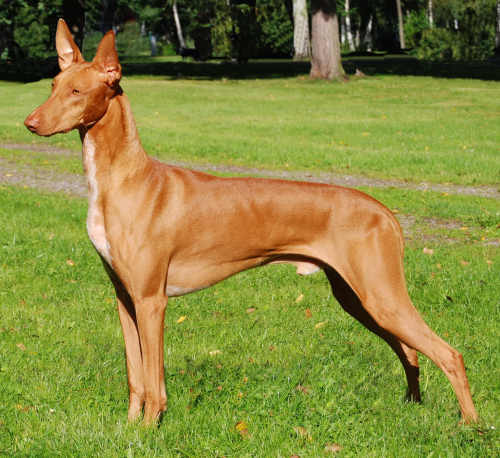 Northgate's Top Pharaoh Hound breeder in Finland 2013 - 7th year in a row! On Firday (judge Mrs. Outi Piisi-Putta) Zuko, Northgate's Proud To B Loud, won the junior males and got his first title HeJW-13. His sister Saga, Northgate's Poetry In Motion, got also HeJW-13 title. Skumpan was BM-3 and Saga BB-4. .
On Saturday at the Nordic Winner show Skumpan (Northgate's Dom Perignon) won the males and got himself one more title, NordW-13. Pharaoh Hounds were judged by Mr Karl-Erik Johansson. On Sunday while we were driving back home Enzo, Northgate's Forever N Ever, did speldid and was Best of Breed with FIW-13 title, judge Nikos Vazakas. Well done Jenna & Enzo!!! Qanel, Northgate's Kalahari Queen, was BOS and got her second Swedish Winner title. 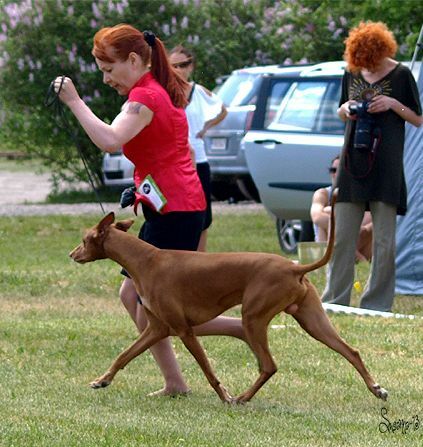 Pharaoh Hounds were judged by Mrs Vivamaria Soleckyj Szpunar from Poland. BOB and BIG-3 was Nealah, Northgate's Heavens I'm Hot, and BOS was her daddy Skumpan, Northgate's Dom Perignon. Britney, Northgate's Northside Special, was BB-3 and Sulo, Northgate's Platinium Edition was BOB-puppy. Sleep well Qing, multi champion Northgate's As You Like It. A true King. You will always have a special place in my heart. Naomi, Northgate's No Matter What, was BOB & BIG-2 in Leto-hallen in Norway, judge Pedro Luis Sanches Delerue. Sulo, Northgate's Platinium Edition was BOB-puppy. Judge Mrs Leila Kärkäs. YEAH! Urho rocks! Urho, Northgate's Midnight Fantasy, 1st in Lure Coursing and a brand new Lure Coursing champion!! And the icing on the cake: he was also Best In Field! Second Best In Field this year. Well done Urho, we are soooo proud of you!! Congratulations Saara! Saga, Northgate's Poetry in Motion, was BOB-puppy and Aku, Northgate's Qing of the North, was BOS-puppy. We also had a BOB-breeder's class. At the group finals we had BOB breeder's class. At the finals we had BIS-2 breeder's group Saga took BIG-1 and BIS-4!! Thank you all involved!! Lure Coursing Championships in Jyväskylä. After bad first lap Urho, Northgate's Midnight Fantasy, showed what he is made of and the end result was 2nd! Victor was 4th and Britney 6th. At Heinola Nat (Judge Mr. Tapio Eerola) BOB, CC and new champion "Victor" Northgate's Nothing Else Matters. BOS, CC and new champion "Britney" Northgate's Northside Special. Daddy Skumpan, Northgate's Dom Perignon was BM-2. And Italian Greuhound Urho (Northgate's Midnight Fantasy) was BOB. 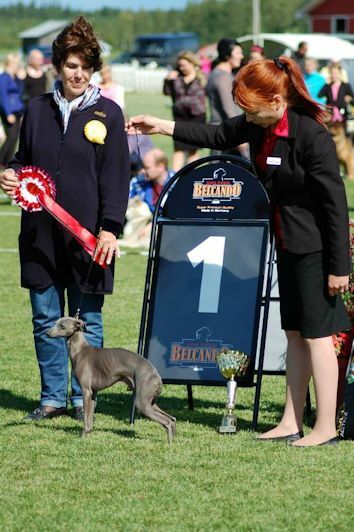 Italian Greyhounds were judged by Mrs Tuula Savolainen. And in Sweden Skumpan's beautiful daughter Nealah, Northgate's Heavens I'm Hot, was BOB with CC and became Nordic Champion! At the group finals she was placed as BIG-3! Congratulations Heidi! Heinola Lure Coursing; 1st with CC Northgate's Midnight Fantasy "Urho"! His mom Latte Northgate's Envy Me was second. Uljas, Northgate's Giorgio Armani BOB at Joensuu INT. And at the Askersund INT Qing, Northgate's As You Like It, BEST IN SHOW VETERAN! Victor (Northgate's Nothing Else Matters) got his racing license! 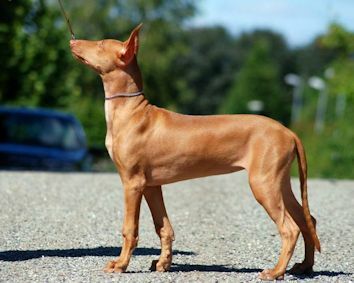 Italian Greyhound Uljas (Northgate's Giorgio Armani) was BOB in Turku all breeds and in Pharaoh Hounds Enzo, Northgate's Forever N Ever, was also BOB. Conratulations Jenna & Orokki! And on Sunday at the Iisalmi International Armas, Northgate's L'Anarchiste, was BOB and Jolie, Arkita's Romanza, was BOS both with cacibs. Italian Greyhounds were judged by Mrs Marjatta Pylvännäinen-Suorsa. 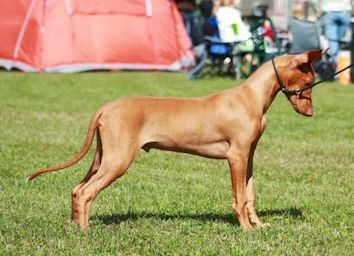 Pharaoh Hounds were judged by Mr George Schogol from Georgia. His BOB with cacib was Skumpan (Northgate's Dom Perignon), BOS with cacib was beautiful Adel (Northgate's Just Look At Me) and Britney (Northgate's Northside Special) was BB-2 with CC. At the group finals Mrs Marjatta Pylvännäinen-Suorsa placed Armas as BIG-4! On Saturday at the Sighthound Club main show we had only Pharaoh Hounds entered. Mrs Ruth Wagner gave the BOB to Skumpan, Northgate's Dom Perignon, Enzo Northgate's Forever N Ever was BM-2, Britney Northgate's Northside Special was BOS with CC and Nealah Northgate's Heavens I'm Hot was BB-4. At the group finals Skumpan was placed as BIG-3. 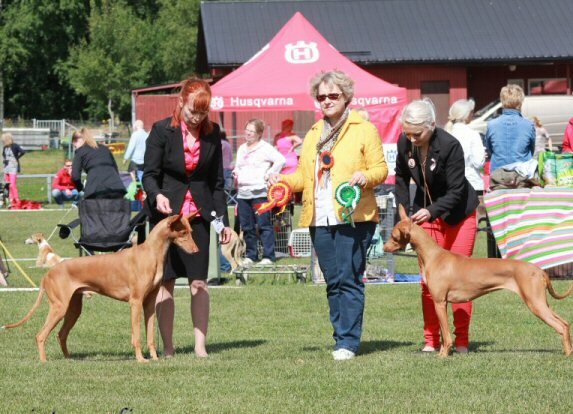 And in Northern Finland in Tornio Italian Greyhounds were judged by Mr Hans Lehtinen. Our black beauty Jolie Arkitas Romanza was BOB and later placed as BIG-4 by Mr Thorbjörn Skaar. Early Sunday morning we drove to Ylivieska where Italian Greyhounds were judged by Mr markku Kipinä. Urho Northgate's Midnight Fantasy was BOB with cacib and Ecco Northgate's Egoiste Exess was BM-2 with CC & res-cacib and became Finnish Champion. And our Jolie was BOS with cacib.Group 10 was judged by Mrs Birgitta Svastadt from Sweden and she placed Urho as GROUP 1!! 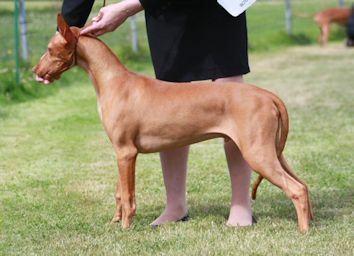 On Saturday Pharaoh Hounds were judged by Mrs Anca Giura from Romania; daddy Skumpan, Northgate's Dom Perignon was BOB and his lovely daughters: Nealah Northgate's Heavens I'm Hot BOS with cacib, Britney Northgate's Northside Special BB-2 with CC and Northgate's Hot Couture BB-3 with res-CC. BOB Breeders' class Northgate's. At the Group Finals Skumpan was placed as BIG-2 by Mr Harto Stockmari. In the Italian Greyhound ring (judge Mr. Manuel Loureiro Borges) Armas, Northgate's L' Anarchiste, was BM-4, Urho (Northgate's Midnight Fantasy) BM-3 and Jolie was BB-3. On Sunday Pharaoh Hounds were judged by Mr. Tino Pehar. Skumpan was again BOB with cacib and Britney BOS with CC & cacib.Italian Greyhounds were judged by Mr. Robert Blumel. Urho was BM-2, Armas BM-3 and Jolie BB-2. Piteå INT today (judge Mr. Markku Mähönen) BOB cacib NEW C.I.B. Northgate's Midnight Fantasy "Urho", BOS CC cacib NEW NORDIC CH our black beauty from sweden Arkitas Romanza "Jolie". Well done Urho & the girls!!!!! Our black beauty "Jolie" Arkitas Romanza BOS and lovely Ecco, Northgate's Egoiste Exess BOB and Urho Northgate's Midnight Fantasy BM-2 in Råneå Sweden. Later Ecco was placed as BIS-3! !Well done all of you!! Thank you Saara for taking Jolie with you!! Tuusula, judge Sighthound Specialist Mr Stephen Wheeler, BOB CC Northgate's Northside Special, BOS Northgate's Dom Perignon. Britney was placed as BIG-3 by Mr Jussi Liimatainen. Enzo, Northgate's Forever N Ever, was BOB, judge Mr. Esa Ruotsalainen. Rovaniemi Int: BOB, CC, cacib Northgate's Nothing Else Matters, BM-2 Northgate's Dom Perignon, BOS cacib Northgate's Heavens I'm Hot, BB-2 CC Northgate's Northside Special. BOB breeder Northgate's. 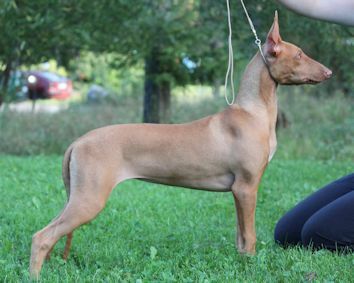 Italian Greyhound Armas, Northgate's L'Anarchiste, was BOS with CC & cacib and became Finnish Champion! Our Black Beauty Italian Greyhound Arkitas Romanza "Jolie" BOB with CC & cacib in Tromsö, Norway. Judge Mr Christophe Coppel from France. At the group finals she was placed as BIG-4! Tuuri today (judge Anneli Pukkila) BOB CC"Britney" Northgate's Northside Special, BOS daddy Skumpan, Northgate's Dom Perignon. Skumpan, Northgate's Dom Perignon, best male at the specialty, Britney (Northgate's Northside Special) BB3. Judge Maija Sylgren. Pharaoh Hounds were judged by Mr Andras Polgard. Enzo, Northgate's Forever N Ever, was BOS. 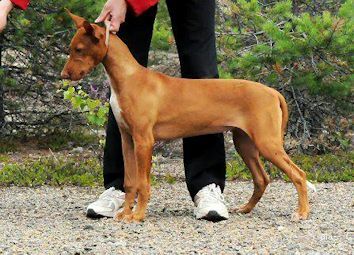 Lahti: Northgate's Forbidden Fruit BOS, CC & new FI CH, congratulations Elisa!!! And in Mynämäki IG Uljas (Northgate's Giorgio Armani) was BOS. 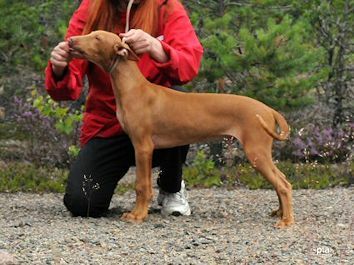 In Jämsä all breeds Pharaoh Hounds were judged by Zilnik Zeljko. Skumpan, Northgate's Dom Perignon was BOB, Victor (Northgate's Nothing Else Matters) BM-2 with CC and Britney (Northgate's Northside Special) BOS with CC. Italian Greyhound Armas (Northgate's L' Anarchiste) was BM-2 and Jolie (Arkita's Romanza) BB-2. Urho ( Northgate's Midnight Fantasy) Best in Field @ Lieto Lure Coursing competition. Points of day were 507 and he got CC!! Well done Saara & Urho, we are so proud of you!!!!! Enzo (Northgate's Forever N Ever) won the coursing trial in Lieto today with 461 points and LC CAC! Tampere int: BOB Northgate's Forever N Ever, BM2 Northgate's Dom Perignon, BOS cc cacib Northgate's Northside Special. 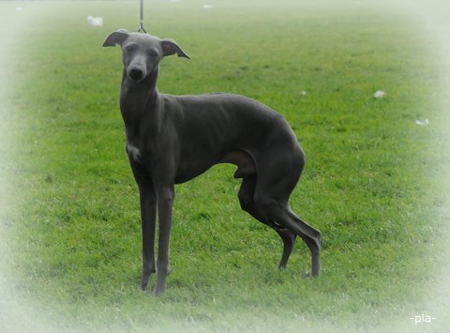 Italian Greyhound Urho, Northgate's Midnight Fantasy, was Top Winning Italian Greyhound male 2012 in Finland! Our black beauty from Sweden "Jolie", Arkita's Romanza, was top winnig IG No 4! Urho, Northgate's Midnight Fantasy, was BOB with CC and and finished the following titles: Finnish, Swedish, Norwegian & Nordic Champion! Well done Saara & Urho, we are so proud!! Jolie, Arkita's Romanza, was BB-3. Judge was Mrs Annette Bystrup. Gorgeous Qing, Northgate's As You like It, was BOB & BOB-veteran and at the group finals BIS-2-veteran.